Hi everyone and welcome to Macro Flowers Saturday! First of all, before I forget, I want to let you know that starting next week I'll post 1 hour earlier, as summer daylight saving is over this weekend. It will still be the same GMT/UTC, but 1 hour earlier for me. A week before 1 November, the Chrysanthemum parade begins. All Saints Day and All Souls Day have long been holidays in which people go to cemeteries with candles and flowers, in many countries with a Roman Catholic heritage. On the 1st and 2nd of November it is All Saints day and All Souls day. There are not many people knowing what is the religious meaning of these days but quite sure, everybody in Europe celebrates the Day of the Dead on 1 Nov.
On this day we go to the graves of dead relatives with candles and flowers and say prayers over the dead. 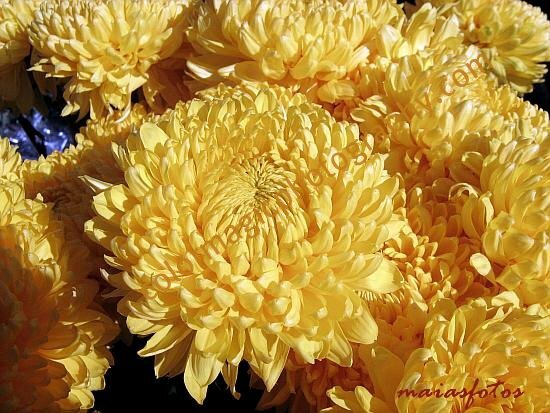 Chrysanthemums are a must on this day and the vendors raise the prices to the maximum, though nobody complains. They are gorgeous flowers. The candle lights, the graves covered in a see of chrysanthemums and pine branches are a spectacular view. What I like most is that it is a sober celebration, no parties, drinking or feasting in the cemetery, in our parts. This is my favorite date of the year, the only celebration left these days that speaks about respect, kindness and remembrance. Somehow this day brings out those deeply hidden, noble human feeling, the way no other holiday can, not even Christmas. I often observed and witnessed how human behavior changes as soon as people enter the cemetery. The same person who was pushing others to advance faster in the sea of people in front of the cemetery, is no longer grumpy once in, he even becomes polite and helpful. What is your opinion and experience about holidays that influence, in a good way, human behavior and emotions? You have such a lovely array of colours. O dia de finados nos faz lembrar que não somos nada, e que um dia todos iremos para o mesmo lugar aqui na terra. Temos que nos preparar para a etermidade. Esta sim tem caminhos diferentes, que depende de nossas decisões enquanto estamos vivos. Suas fotos estão lindas. Amei as cores. I wasn't familiar with All Saints Day. Interesting observations and beautiful flowers. I love the chysanthemum and the ones in Aucklan is really beautiful. The bChinese use them for worshipping their gods on the 1st and 15th of the mo9nth. 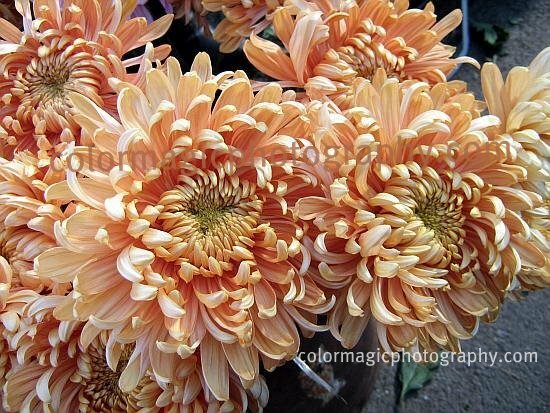 The chrysanthemums are gorgeous, I love all the different colors. So much emphasis is placed on All Hallows' Eve, or Halloween, in this country that people forget about All Saints Day. I think it is a lovely tradition. i almost forgot to enter my link! i have to do this on my friends PC. Maia, I love how you manage to really convey the liveliness and freshness of actual flowers. How do you do it? They just jump off the screen. Those mums are lovely...especially in all those colors. they are very gorgeous indeed! It's a long weekend here since Nov. 1 is on Tuesday, Monday was declared a holiday for people will still have time to go home and spend weekend and the holiday with their family. It is already a tradition to have family reunions on All Saint's Day so people make the most of the holidays. Anyway, they chrysanthemums are very popular these days but they get too expensive during All Saint's Day, well it's worth it because they looks so lovely. There seem something wrong with blogger recently. I have a few times when the photos are stacked on top of another. They they become right after a while. thanks for letting me know. I am interested in Joyful saying she used to eat the onions. may be these are the same as cocktail onions. Wow, beautiful blooms. Beautifully captured. Love all your photos. They are all beautiful. Love all the different colors. 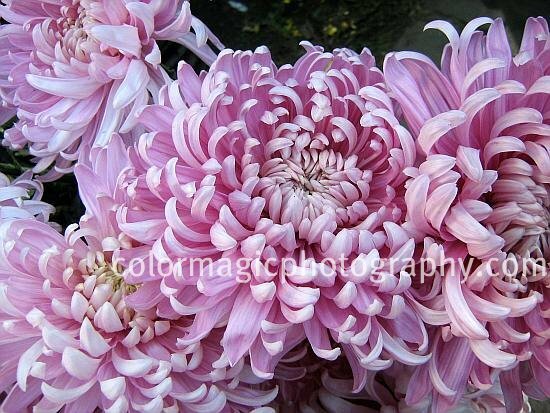 Gorgeous details of these chrysanthemum petals Maia.